Unusual because they are different from the 50 or so others in my collection! 1. THE OLDEST in my collection. FED No 47076. Pre-war “NKVD” FED. Engraved on top: „FED Trudkommuna NKVD-UkSSR im. FEDzerzhinskogoKharkov” (ФЭД Трудкоммуна НКВД-УССР им. ФЭДзержинского). Metal finish on body has rougher grain than later models. Leatherette trim is brown and fine and texture– was it originally brown, or is its colour due to fading and ageing? 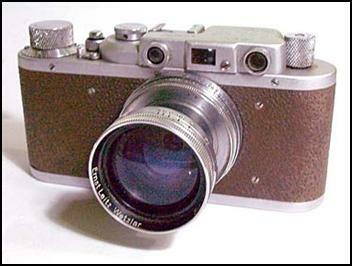 The platform under the shutter speed dial is OVAL, just like early Leica II. Later FED have angled platforms. 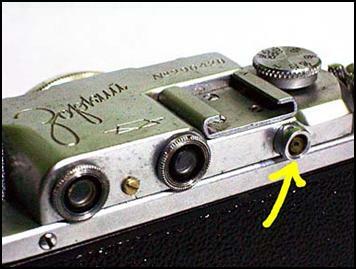 Camera is made even more unusual by more modification. 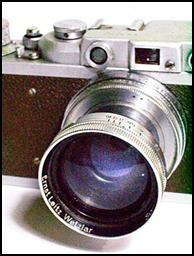 Lens is a Leitz Summitar 2/50. The mount is from a real Leica, and has been adjusted to standard working register. 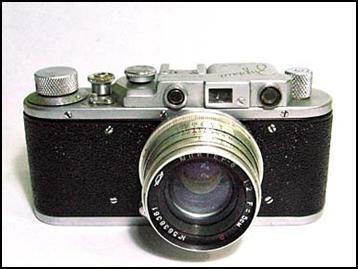 This camera is also the first FED I repaired. This is probably the only Zorki which arrived in good user condition without further adjustments. It is also the only which came with a Jupiter-8 2/50mm (all others came with Industar 3,5/50mm). And everything worked. 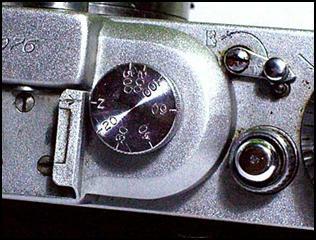 The lens register evened out at exactly 28,8mm. And it also has a built-in flash synch, added competently. No Zorki-1 or FED-1 had flash synch. This one had its PC terminal installed at the back, close to the eyepieces, just like in the Leica. 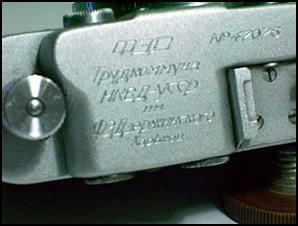 Maizenberg had instructions on how to install flash synch, but his diagrammes indicated the terminals placement in front of the camera, or on the top plate, where the “Zorki” engraving is. This camera looks better in life- it must have been previously owned by a serious photographer or someone who was somebody in someway in the old USSR. This Zorki is very Leica-like in function. 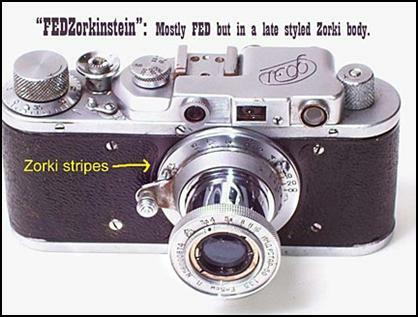 This FED+Zorki camera is probably an attempt to put together two cameras- which on their own were no longer good – to produce one good camera. I would say that the result is somewhat successful, albeit strange. No collector would have this. The camera is functional though. The seller of this camera was probably messing around with his merchandise. That seller at one time listed a FED with two serial numbers! It also looked like a FEDZorkinstein.